Brian is sharing these pictures he took in New Zeland yestarday. Brian had shared a whole lot on this blog about his uncle. He sent me this message with a few pictures. I found this an enlightening account of night flying in a Spitfire. I live about 15 minutes away from Papakura and it used to have an Army Camp there. Most of all I noted that he mentioned about five New Zealanders won a commission. My Uncle Mervyn Jack Mills’ file says that his commissioned of Pilot Officer superceded that of Sergeant. Scrolling down to Course 44 and looking at names of the New Zealanders. I was reminded of James E Shields in the attached files. Jimmy Osborne was in Course 44 at No. 6 SFTS Dunnville with Mervyn. After the attack on Pearl Harbor, 7 December 1941, American and British leaders arranged for a joint meeting to be held in Washington, D.C., between 24 December 1941 and 14 January 1942. This was called the Arcadia Conference, which formed overall plans to conduct a total global war against the axis powers. The first major American force established was the 8th Air Force, which moved to England and became operational on 17 August 1942. The next urgent action was needed to relieve pressure on Russia and stop the advance of German General Rommel across the Western Desert. The existence of 23 American B-24’s plus a dozen B-17’s in Egypt in June 1942, was a fortunate coincidence of war as Rommel made his push for the Suez. On 17 June, Washington, D.C. ordered Colonel Harry Halverson to taken charge of this small force of U.S. large bombers, in response to the threat of the German Africa Korps. This new air arm of the US Army Forces in the Middle East was pressed into service to help the British 8th Army hold Cairo. 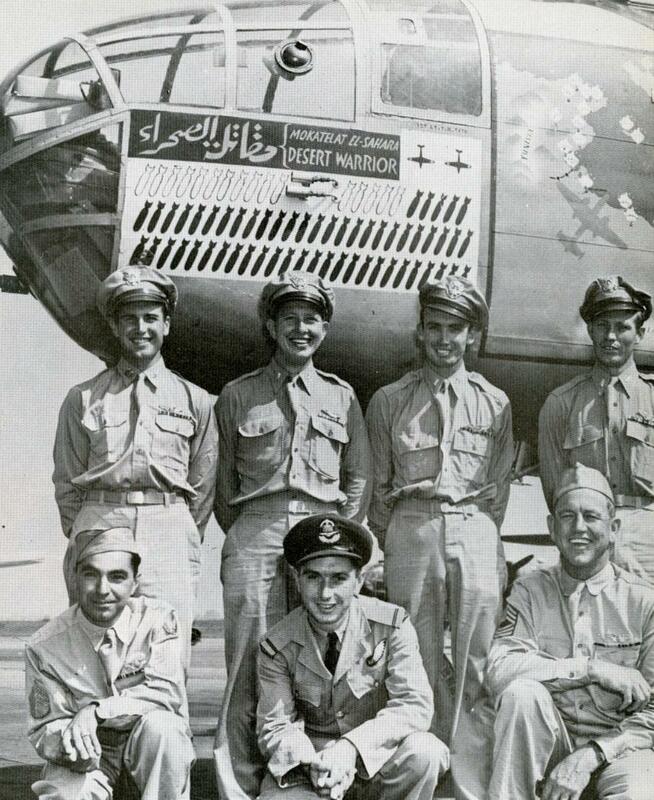 Out of combat necessity, the American Ninth Air Force was unofficially born on 28 June 1942, when Major General Lewis H. Brereton was placed in charge of this newly formed United States Army Middle East Air Force. At the same time, two stateside combat bomb groups were ordered to prepare for movement to North Africa. Leaving Florida, the 98th Bomb Group ferried its B-24’s across the Atlantic arriving in Egypt the last week of July 1942. Following the 98th were the B-25C Mitchell medium bombers of the 12th Bomb Group. These two Groups aircraft were all painted in “Sand No. 3” covering all areas that had been painted dark Olive Drab. Even new this sand paint had a pronounced apricot shade, and when exposed to the North Africa sun, the yellow pigments faded, leaving only a strong pink color. 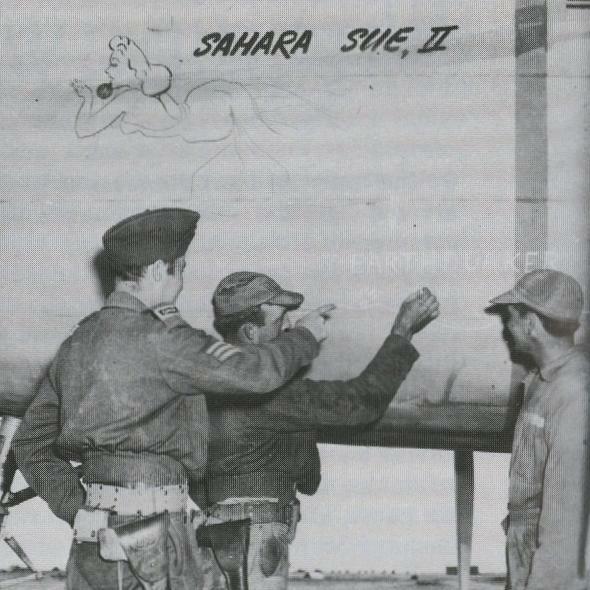 These aircraft became commonly known as “tittie” or ‘desert pink’. The 12th Bomb Group was formed 20 November 1940, and patrolled the west coast of United States after the attack on Pearl Harbor. They began training in the B-25C medium bomber in January 1942, for duty overseas. On 16 July 1942, the S.S. Louis Pasture departed New York with 4,882 men of the 12th Bomb Group, assigned to the 12th Air Force. They arrived at Deversoir, Egypt, on 31 July 42, just before Rommel’s Panzers made their last gamble to take Alexandria. The key to victory in North Africa was Allied air power, which could deny the Germans their spare parts, ammunition, fuel, food, and water. The 12th B.G. was the first USAAF medium bomber group in the Mediterranean theatre of war, which introduced the ‘desert pink’ B-25C to desert combat. The B-25 crews had little time for training and joined No. 3 Wing South African Air Force on 25 August, attacking targets in Egypt, Libya, and Tunisia. No. 3 Wing was made up of South African, British, Australian, and Canadians in RAF squadrons flying Boston and Baltimore aircraft. At first there was friction when the Americans thought their training was superior to the British. Although the Americans had never experienced anything like the North Africa combat conditions, it took time to convince them the British and Commonwealth veterans knew a little more than they did. To aid American radio operators to learn British radio procedures, 23 [cousins] RCAF wireless/gunners were freely loaned to the 12th Bomb Group, and four would be killed in action. The USAAF crews soon welcomed the new Canadian radio operators who also prevented ‘friendly fire’ incidents from British anti-aircraft gunners, unfamiliar with the new B-25 bombers. The 23 Canadians served one year in their four respective bomb squadrons, first located in two airfields in the Nile delta, – the 81st and 82nd B.S. at Deversoir and the 83rd and 434th B.S. at Ismalia. Under command of Col. Charles Goodrich, the 12th B.G. 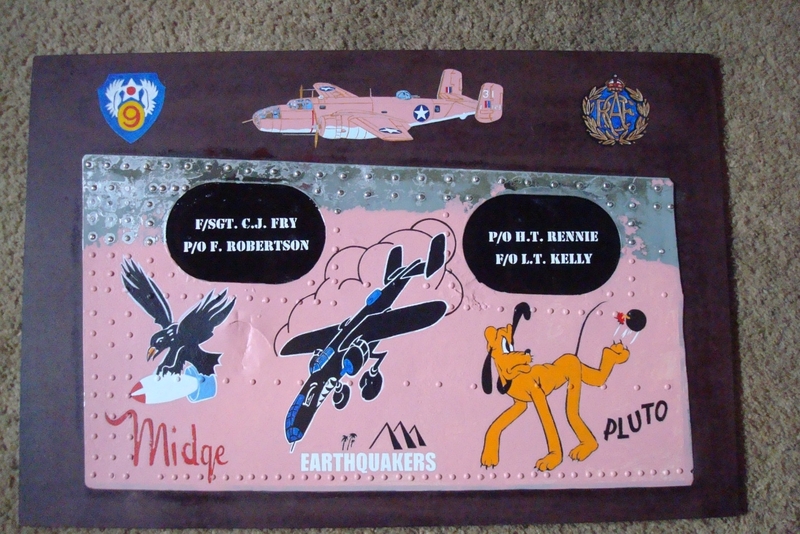 took the unofficial name “Earthquakes” and sported some very impressive nose art on their desert pink aircraft. The first mission was flown on 16 August, two days before the full complement of ground crew arrived. By the end of September 1942, the 12th B.G. had flown 21 missions and dropped 139 tons of bombs, with the loss of only six B-25 aircraft. This early 12th B.G. 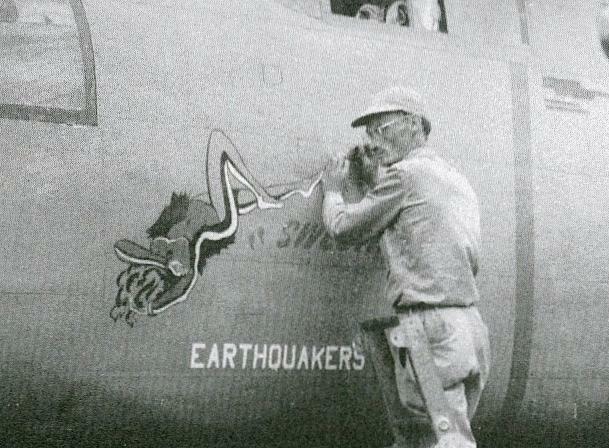 nose art paid tribute to the new B-25C Mitchell bomber. 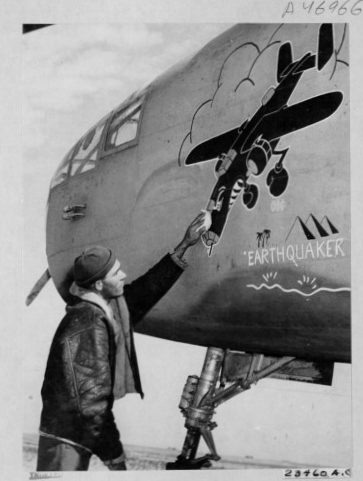 This photo shows one of the RCAF Canadians pointing to the American nose artist in the 12th Bomb Group “Earthquaker’s”. BROWN, F/O Joseph Alfred, J17884 – Sarnia, Ontario. CRUIKSHANK, P/O Donald Herbert, J17887 – St. John, New Brunswick. EMERY, F/L Charles Emile Michel, J18025 – Westmount, Quebec. FLECK, P/O Carl Sidney,J17125 – Middle Stewiake, Nova Scotia. FRASER, F/L David Scott, J17879 – Calgary, Alberta. GALL, P/O Robert Davidson, J17127 – Saskatoon, Saskatchewan. HALL, F/L Stewart Llewelyn, J17882 – St. Catherines, Ontario. Wireless air gunner 27 years old, B-25 Mitchell bomber shot down while attacking Adrano, south of Mount Etna, Sicily, 5 Aug. 1943. No Known Grave. LAMOUREUX, P/O Alexander Paul, J17130 – Edmonton, Alberta. MACLEAN, F/L Cornelius, J18373 – Stelerton, Nova Scotia. MARTIN, F/O Anthony Arthur, J17876 – Squamish, British Columbia. MARTINO, P/O George William, J17880 – Montreal, Quebec. MIRON, F/O Wilfred Arthur James, J17883 – Toronto, Ontario. PARADIS, P/O Joseph Jean Paul, J17129 – Quebec. Medium bomber Boston aircraft shot down 12 March 1943, Sidi Barrani, Arab republic. Reburied National Cemetary at Fort Scott, Kansas, USA. Wireless air gunner 23 years old, went overseas in October 1941, assigned 12th A.F. December 1942, flew 22 missions in B-25 Mitchell. On return from mission on 29 April 1943, hung-up bomb fell on landing, exploded. War cemetery Tunisia. ROBERTSON, P/O Ronald Douglas, J17128 – Roblin, Manitoba. SIBBALD, P/O Roy Everett, J17878 – Cochrane, Alberta. 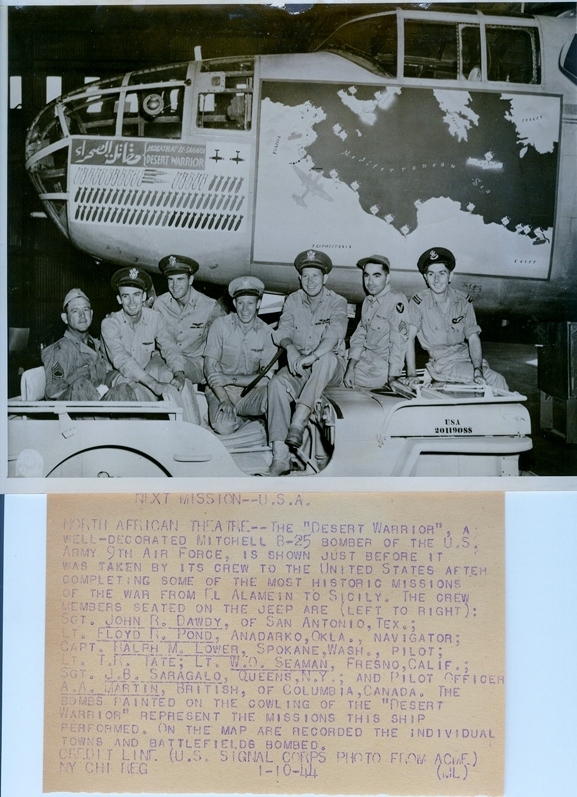 This is the image of the famous “Desert Warrior” taken at Red Sea base of Desouire as it prepared to leave on the first B-25 promotional tour of the United States. Sgt. Pat Garofalo, [top turret gunner] Pilot Officer Anthony Arthur Martin [RCAF] wireless air gunner, Sgt. John Dowdy Crew Chief. Press release error – F/O Anthony Arthur Martin was “Canadian” from Squamish, British Columbia. This memorial to the RCAF members killed in action while flying with the American “Earthquakers” is painted on original skin from the B-25 in Alberta Aviation Museum at Edmonton, Alberta. This B-25 flew with the U.S. Navy during WWII. Thanks again to pilot Tony Jarvis. Dad served at #9EFTS St Catherines from 1939-44. A black and white photograph of E. Weldon McKay in winter flight gear in front of a Fleet Finch II Model 16B with a sliding canopy for winter flying. The photo was taken while Weldon McKay was stationed at Elementary Flying Training School (EFTS) No. 4 Windsor Mills, Quebec. Weldon McKay received his training at No.4 EFTS from November 22, 1941 to January 31, 1942. Clarence Simonsen wrote me a message. This is very personal but he wishes to convey this message and and he allowed me to publish it. I found in cleaning up my 50 years of research many [new] unpublished stories remained. Thanks to you, I can now pass on and share with the Internet, the most powerful tool, when used properly. My story [history] of the RAF in Alberta began in 1984, and continued until I retired in July 2010. This research was conducted by meeting the real people, plus sharing letters, and phone calls. In 1985, I purchased an Epson computer, and learned to use it from the manual, self-taught. [A huge step forward] The photos were copied with my 35 mm camera, and the images were developed [by me] in a darkroom, I rented, and it was pure fun and enjoyment, to learn and save this important past history of the Royal Air Force in Canada. Over the past years, I have walked the RAF graveyards many times and realized these young British lads had been forgotten, but they were in fact the first heroes of WWII. When Mr. George Frost told me of the RAF burial pits across Canada, I was over come with the realization the very records of these lads was still in the ground in Canada. I was allowed four trips to the Correction site at Bowden, then when I found the WWII burial site, my Government [Conservative] said – “No.” I then took the time and trouble to contact, [phone, email and letter] with the two M.P.’s and give them a copy of this same research material, you have published. Nothing but silence. These are the very same MPs who wear a poppy on 11 November and pretend to care. My research on the RAF school at Bowden contains five photos of the head-on crash of two PT-27 Stearman training aircraft. In 2010, I learned that one of these RAF aircraft serial FJ875 had been purchased by Mr. Mike Potter who formed “Vintage Wings of Canada”. I donated by complete RAF research collection to Vintage Wings of Canada in the spring of 2011, in hopes that they would assist me to save the burial site at Bowden. My thinking was, the WWII burial site at Bowden contains all the records of the very aircraft they owned, thus they would care. “Wrong.” In letters to owner, Mr Mike Potter, and a May 2013 meeting with the Chairman of the Board of Vintage Wings, – “Total Silence!” Mr. Potter is a very wealthy person, was born in England, flies the very aircraft that flew at Bowden, yet, he has no interest in the records in the ground in Bowden. I don’t want and never ask for his money, just his political pull. This is out of control, caused by my government. The fact is I am a “Gomer” person, I do really care. My last effort is the power of the Internet and telling truth. The RAF bomb tower in my research, still remains forgotten on an Alberta farm. I have tried, but museums in Alberta have no interest, why? Catherine, “Duchess of Cambridge” the wife of Prince William [RAF] has a connection, as her Grandfather was an RAF instructor at Calgary in WWII and his students trained at this very bomb range in Airdrie, Alberta. The pilot “Briggs” who flew the Mosquito F for Freddie and crashed at Calgary, in fact took all his pilot training in Alberta, and learned to drop bombs at the range in Airdrie. The ex-drill hall in Calgary is today the Aero Space Museum of Calgary but they can’t even paint their Mosquito to honor the RAF who received their wings in that same building [including Briggs], or honor the most famous aicraft in WWII – F for Freddie. This very organization is destroying the WWII RAF history and can care less about the bomb tower in Airdrie. The fact is the Calgary museum has no understanding of their own WWII history. They must first learn, before they can teach the true history. Their selection of displays and painting of vintage aircraft should reflect on the true history of Calgary and not on the wish of the CEO or Director. My research is the true history and I hope they read it. During my fifty years of nose art research, I have interviewed over 1,000 veterans of the American 8th Air Force, Royal Air Force and Royal Canadian Air Force who served in England during WW II. Almost all agree, that it was very easy for servicemen to have a sexual encounter with all ages of British ladies. Britain was the first country to be afflicted by total war and a catastrophic shift in sexual behaviour and attitude of her female society. Between September 1939 and May 1945, 5.3 million infants were delivered in England, and two million were illegitimate, with a non-British biological father. These babies born out of wedlock came from every age group of British mother, from teenage girls to mature ladies in their forties. Most of the biological fathers were well-paid Americans in the 8th Air Force, followed by Canadians in the RCAF. If it had not been for total war, most of these ladies, would never have had illegitimate children. This is the true story on one British infant who never knew his Canadian RCAF father. 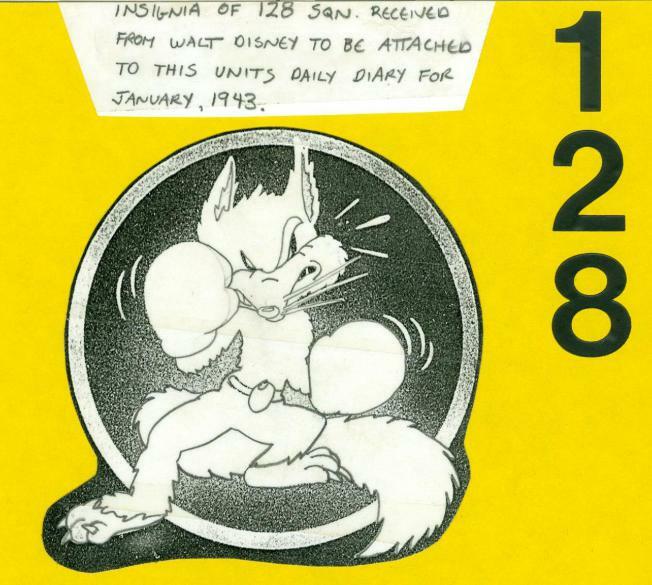 This is also the only WW II nose art image I have ever found that featured a trophy from Canadian Ice hockey. The story was offered to the Ottawa Senators hockey team, CBC Hockey Night in Canada, Coaches’ Corner, and Vintage Wings of Canada. All three declined to publish. It is now published for the first time. In November 1939, RCAF service hockey teams began to compete on the ice at a number of wartime Canadian bases. In the following six years, almost every RCAF unit in Canada and U.K. boasted its own band of hockey talent. 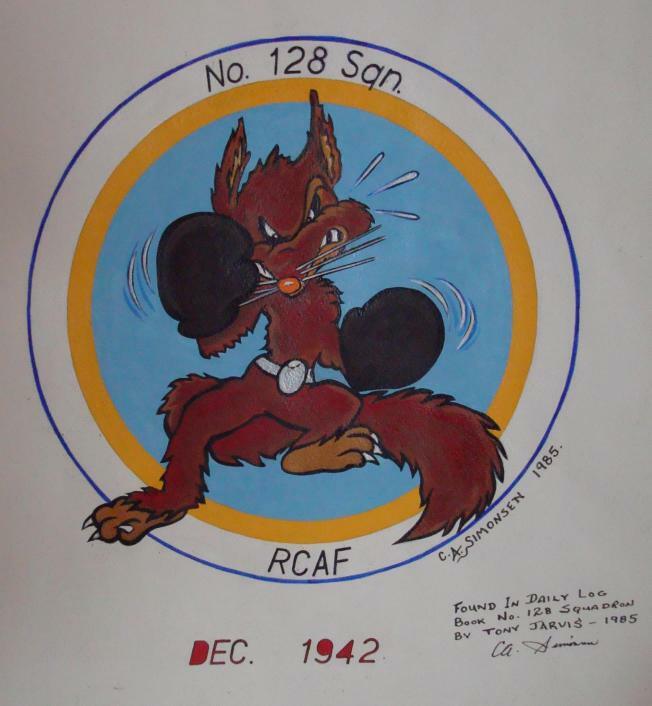 The Ottawa R.C.A.F. Flyers entered the senior city league in October 1939, and at once began to attract considerable attention with their scoring punch and general hockey skills. This was no surprise as Ottawa had various RCAF units to draw talent from and the best hockey talent was posted to our nation’s capital. In two years the Ottawa RCAF Flyers became the number one high-calibre Air Force team in wartime senior hockey. Five of these mainstay players came from the original Trenton Flyers of 1938; Louis Le Compte, Eric McNeeley, Roy Hawkey, Hank Blade, and defence star Gerald [Gerry] Philbin. Gerald Bernard Philbin was born at Montreal, Quebec, in 1909, raised in the city of Valleyfield, situated on the south bank of the island in the St. Lawrence River, 30 miles west of Montréal. He was educated in English and French, plus excelled playing hockey in his school years. 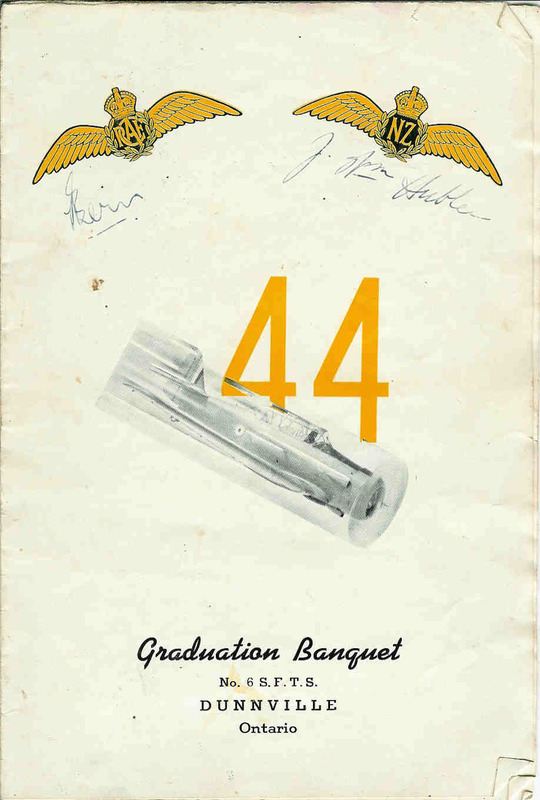 In 1938 and 39 Gerry played for the Trenton Flyers hockey team, which influenced his decision to join the RCAF on 21 July 1940. Trained at No. 1 ITS and graduated 9 December 1940. No. 11 EFTS graduated 28 Jan. 1941, then received his wings at No. 2 SFTS, Uplands, 28 March 1941. Gerry was posted to C.T.S. Rockcliffe, which allowed him to play fulltime with the Ottawa RCAF Flyers team, but in fact he had played on and off with the team since the fall of 1940. 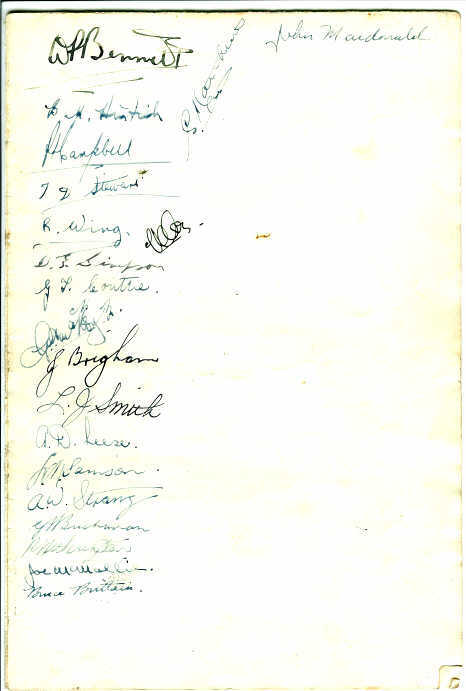 The Ottawa senior hockey league teams played 16 regular games in the 1941-42 seasons. The Ottawa RCAF Flyers won 11, lost 4 and tied 1 game, ending with 23 points and a second place finish. They won the semi-final playoff games, 3 games to none, over Hamilton Majors, won the Ontario East final playoffs, 3 games to none, over Quebec Aces, and then faced the Port Arthur Bear-Cats in the final for the Canadian National Senior Ice Hockey Championship Allan Cup. They won the Allen Cup in five games and now 90% of the team was broken up as members moved on to wartime duties in the RCAF. 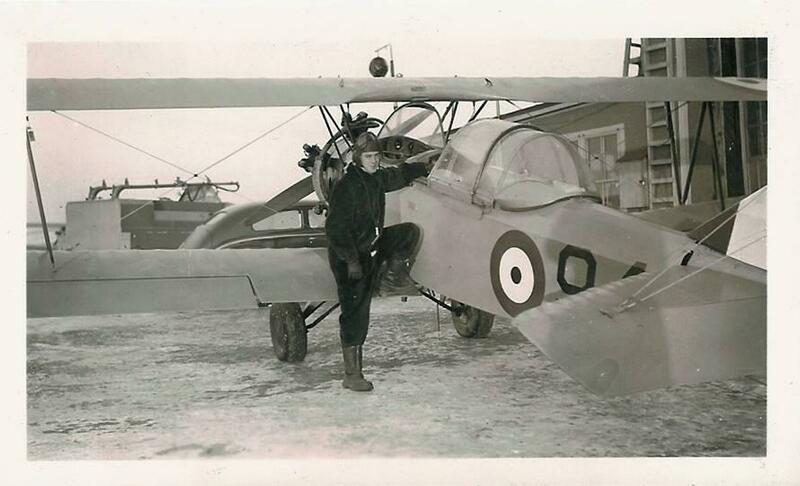 Gerry Philbin was promoted to Flying Officer and posted to operations in England. F/O Philbin formed a sprog crew made up of five other Canadians and one British. The new crew were assigned to No. 431 [Iroquois] squadron stationed at Tholthorpe, Yorkshire, where they flew their first operation on 8 October 1943, in Halifax Mk. V, “O”. On the 18 November the crew were assigned to fly Halifax “U” [LL152] which became their bomber. Shortly after completing an attack on Berlin, 21-22 November 43, the starboard engine failed and on the return trip they were damaged by anti-aircraft fire. Despite this Philbin return his crew safely to base and for his actions, was recommender for a D.F.C. No. 431 squadron are ordered to move to #64 Base at Croft, Yorkshire, on 10 December 1943.The 23 Dec. 1943, issue of the Ottawa Citizen newspaper reported F/O Gerry Philbin always wore his 1942 “Allan Cup” hockey jersey on operations for good luck. On 15/16 March 1944, after attacking Amiens, France, the Philbin crew had a hung up 500 lb. bomb, and upon landing the bomb dropped and exploded. Two of the original crew, Canadian gunners P/O Lloyd Barker, P/O Irvine Klein, were killed Gerry Philbin and the rest of his crew escaped with minor injuries. 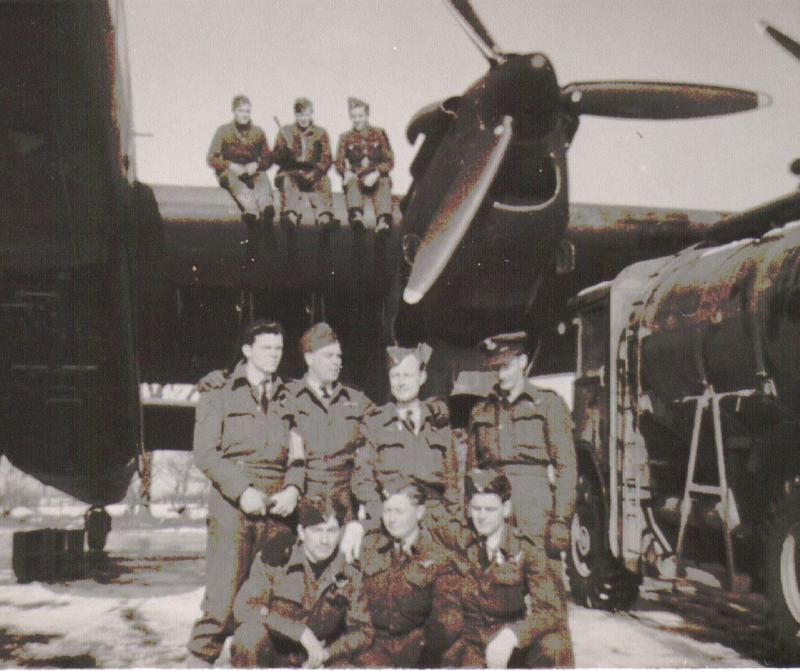 The Philbin crew received a new Halifax SE-U, serial LK991, and went on to complete 21 operations with No. 431 squadron, 13 of which were flown in the two Halifax aircraft coded “U”. No. 425 [Alouette] squadron was formed on 25 June 1942, and designated “French-Canadian” squadron. Bomber Command combed other squadrons for French speaking air and ground crews to fill its ranks. On 13 June 1944, French speaking pilot Gerry Philbin and his crew were posted from No. 431 squadron to No. 425 squadron based at Tholthorpe, Yorkshire, where they had flown with their original squadron. Pilot Philbin is now promoted to squadron Leader in the RCAF, providing experience to the French speaking squadron. S/L Philbin received a new No. 425 squadron Halifax Mk. VII, serial LL594, with code letter “U”. On this aircraft he had the squadron artist paint the nose art of the 1942 Allen Cup and the background logo used on the Ottawa hockey sweaters. 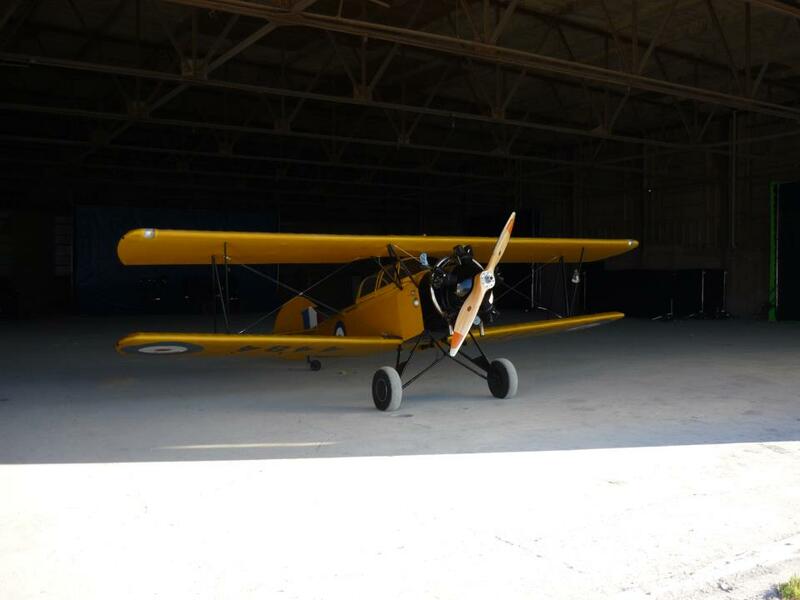 The Philbin crew flew their first operation with No. 425 squadron on 16 June 1944, a date the French-Canadian squadron began attacks on the German V-1 rocket sites in France. In the next four weeks the squadron would attack 21 rocket sites in France, but the Philbin crew will not take part. On 5 August 1944, at 11 am, Halifax LL594 and the Philbin crew become airborne from Tholthorpe for the last time. It is their 26th operation; the fifth flown in No. 425 squadron and the target is the V-1 site at St. Leu d’ Esserent, France. Over the target the Halifax with the Allan Cup on the nose takes a direct hit from flak and explodes. Six of the crew die at once, pilot Philbin and RAF Sgt. Milliard are blown into space and parachute to earth where they are taken prisoner. Sgt. Milliard is interned in camp Luft. 7, POW #608. Gerry Philbin lands among exploding bombs from his own squadron, but has two broken ribs and fractured both feet. He is virtually pulled into a foxhole by a German soldier who saves his life, and then taken prisoner. Gerry is transported to a German army hospital and the next day driven to Beaujon [Luftwaffe] hospital in Clichy, north of Paris. On 11 August 1944, the American 8th Air Force launched 956 B-24 and B-17 bombers in visual attacks on German railway, fuel dumps, and troop concentrations in the French, Brest peninsula. Three B-24’s and two B-17’s were lost with seven crew killed and 28 missing in action. One of the B-17’s in the 100th B.G., with nose art “Royal Flush”, crashed in a suburb of north Paris, four crew are killed and six taken prisoner by German SS troops. The six Americans are transported to the same hospital as Canadian S/L Gerry Philbin. The SS Colonel in charge of the hospital informs all prisoners they will be transported to Germany that evening. American Chuck Nekvasil and Gerry Philbin speak perfect French, and ask the French staff in the hospital to help them escape. The prisoners are locked in the seventh floor of the hospital with one German guard. At 7 pm trucks and ambulances arrive to transport the POW’s to Germany. Soon after, the French FFI attack the hospital and during the gun battle one of the Americans obtains a knife and slashed the throat of the lone German guard, Willie. The German keys are obtained and the group took off making nine miles in the first day. They took cover by day and travelled by night until 3 September, when a German fighter dropped fire bombs on the building they were hiding in. Eight of the prisoners, including the six Americans and Gerry Philbin, took off running for about six miles, when two motorcycles came tearing down the road towards them. The soldiers wore the uniform of the French 2nd Armored Division. It was all over, and they were next taken to a field hospital near Orleans, France. On 6 September 1944, the group was airlifted by an American C-47 to Exeter, England, and another hospital. For S/L Gerry Philbin the war is over, he now has a desk job, and effective 1 September 44 awarded the D.F.C. The award was presented by Governor General of Canada on 27 June 1945. On 12 August 1944, a baby boy is born in Wallasey hospital near Liverpool, the mother is Emma Murray, a mother of two children, and a widow whose sailor husband was killed when his trawler was torpedoed off Ireland in 1941. The new son is named Kenneth Glenn Murray, but life is tough for the new widow/mother in war torn England. In October 1944, Emma places her new son up for adoption and he is put in the Children’s Home at Strawberry Fields in Liverpool. In January 1945, the boy is adopted by Hilda and Malcolm Cothliff, where he spends a very happy and secure childhood. At age sixteen Kenneth becomes interested in Jazz and enrols in the local Art College, which becomes the centre of a new tend called the “Mersey Sound.” Ken meets a fellow student who is very active in the college at this time and his name is John Lennon. Ken always knew he was ‘chosen’ and regarded himself as very fortunate. In 1977, the British adoption laws changed and Ken was able to learn who his parents were and provided with the details of his natural father. He learns his father was a Canadian in the RCAF, F/Sgt. William Gracie, killed just seven days before he was born. Ken begins a search for his Canadian relatives and in May 1979 came to Peterborough, Ontario, to meet Mrs. Christina Gracie, who was Bill’s mother. She had no idea he existed and at once accepted Ken as her grandson. Ken would make four more trips to Canada to visit his grandmother and relatives. In the summer of 1992, Ken received word his grandmother, Christina Gracie was becoming fail and he decided to make one final trip. It was apparent she was in her last days and kept referring to Ken as her son Bill. The day before his return to England, Ken dug up six, 3 inch high, sugar maple trees from his grandmother’s front yard. These trees were transported back to England and placed into small pots. One month later Ken’s grandma Gracie passed away. In 1994, Ken made his way to the Oise Valley, north of Paris, France, and in St. Leu D’Esserent and St. Maximum area, next to a French school he planted a Canadian Maple tree. The tree was planted at the crash site of his father’s Halifax bomber on the 50th anniversary, 5 August 1944. A second Maple tree was planted in his home yard in Leeds, England. A third Maple tree was planted in the village green next to the RCAF memorial at Tholthorpe village, where his father had taken off on his last operation. Today three 40 foot Canadian Maple Sugar trees grow in England and France, a living memorial to the Canadian father he never knew. I first made letter contact with Kenneth B. Cothliff on 10 April 1993, and over the years learned more and more of his family story. In June 2010, Ken came to Western Canada and spent two days at my home in Airdrie, Alberta. During this time, I learned so much more about my special loving friend and his amazing true Canadian life story. If this were the United States they would make a movie, but in Canada it proves impossible to even tell the story. Ken has done more to honour the Canadian father he never knew, than thousands of Canadians whose father’s wore the uniform of the RCAF in WW II. In 2012, I surprised Ken with a replica painting of his father’s WW II Halifax nose art, on original Halifax bomber skin. Clarence Simonsen nose art Halifax Mk. VII. serial LL594, No. 425 [Alouette] Squadron, named “Allan Cup”. Painted on original skin from Halifax NA337. Ken’s mother and father met at the very same factory that built the Halifax LL594 and the [above] skin from NA337. 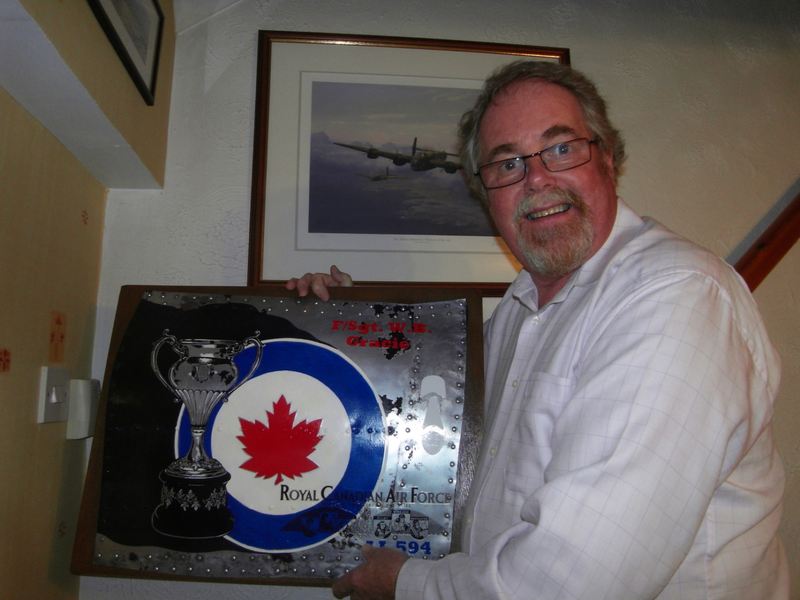 Ken Cothliff holds the replica nose art of the aircraft his Canadian father, F/Sgt. Gracie was killed in 5 August 1944. 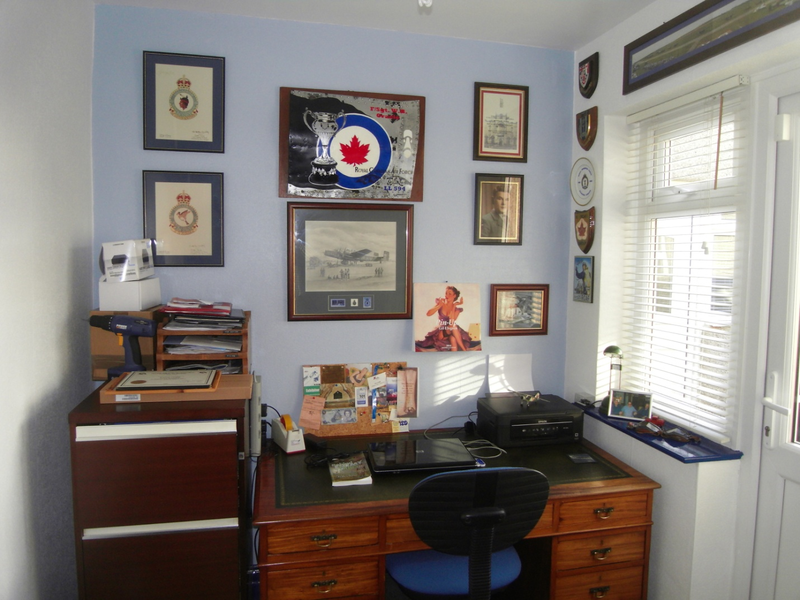 Ken’s office is a living memorial to his Canadian father – 2014. Clarence sent me two stories to post on this blog. Here are two stories which were completed in 2010 for “After the Battle” magazine in England. One is my complete research, which I sent to editor, the other is the story that appeared in the Feb. 2010 issue. They are for you to use as you wish. They cover the history of the RAF schools in Alberta, etc., and where Briggs [F for Freddie] was trained, received his wings, and crashed. It is time they appeared for everyone to read and learn. Please publish and add anything you wish. More to come, are you OK with that? This is the second story.